Integrated planning is a planning approach when various different factors are taken into account. We cannot look at the grassland ecosystem only from a nature’s viewpoint. 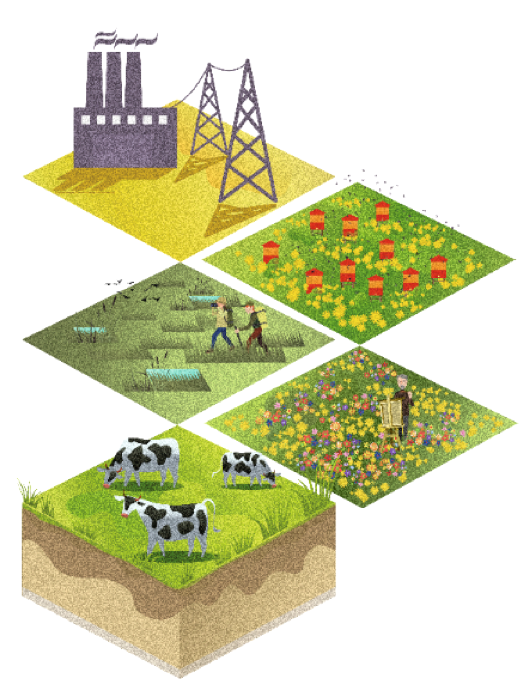 As grasslands survive only in synergy of nature and humans, there are many factors that influence human motivation and possibilities in grassland management. Some of them usually are not fully considered but crucial to keep people in the countryside. Particularly, socioeconomic aspects are very important: demographic structure, infrastructure, availability of kindergartens and schools. At present, many younger people migrate away from the countryside due to unfavorable socioeconomic conditions; the remaining generation gets older and has no capacity to properly manage grasslands. The integrated planning tool being developed within the project will look holistically at the processes in the countryside and help to find best grassland management solutions by taking into account both natural and socioeconomic factors of the particular site.